Envy adds three players to its Counter-Strike: Global Offensive roster. 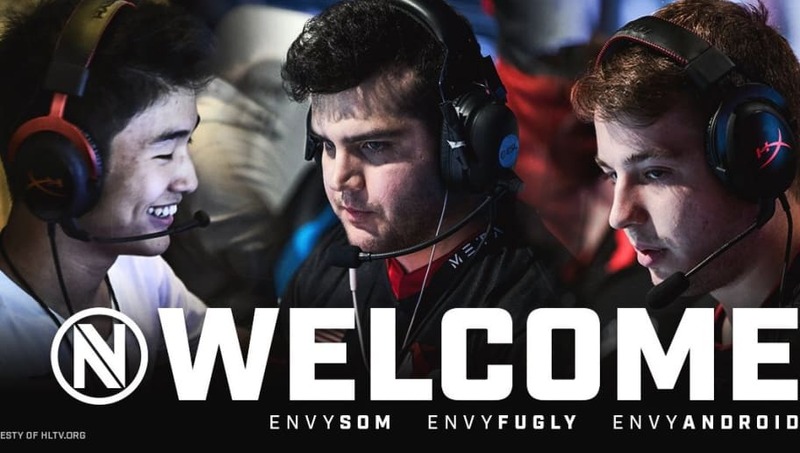 Brad “ANDROID” Fodor, Jacob “FugLy” Medina, and Sam “s0m” Oh are the newest additions to Envy's CS:GO team. The team's existing players, Josh “JDM” Marzano and Noah “Nifty” Francis, will be joined by s0m, ANDROID, and FugLy. The new additions mean Stephen "reltuC" Cutler and Taylor "Drone" Johnson will no longer be a part of the roster. "As we reveal our new roster, we are confident in reaching greater heights in 2019 and beyond," the post read. "Team Envy expresses our thanks for their time and commitment to the team over the past year and wishes them the best in all their future endeavors." ANDROID and s0m join Envy from compLexity Gaming, where the former was a member of its team, while s0m was a streamer for the organization. FugLy was previously a player for NRG Esports.